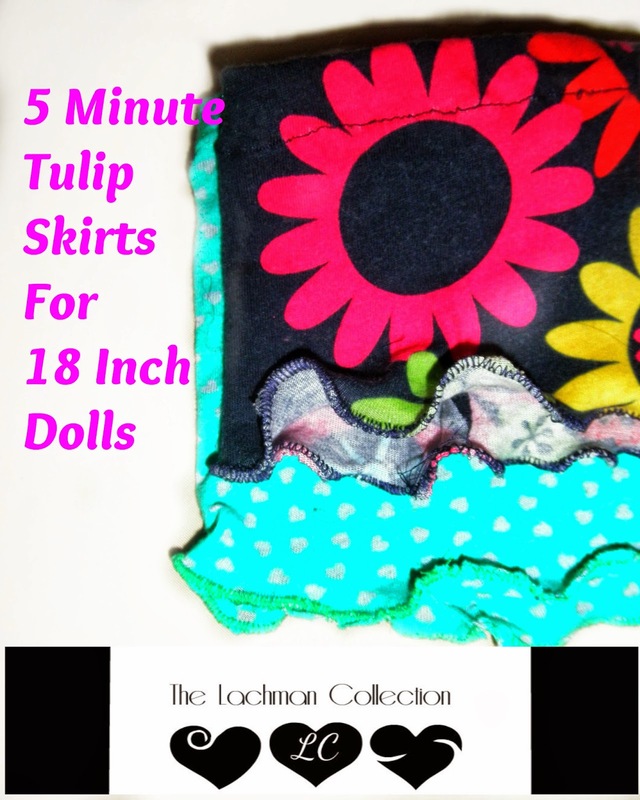 Here is the tutorial I promised for a quick and easy skirt for your 18 inch dolls. You can make the skirt with left over scraps of any knit fabric. I like to use an old T shirt. In order to make this skirt work with the least amount of fabric, making it a perfect scrap project I omit seam finishes that won't show on the outside. Because we are using knit you don't have to worry about fraying. 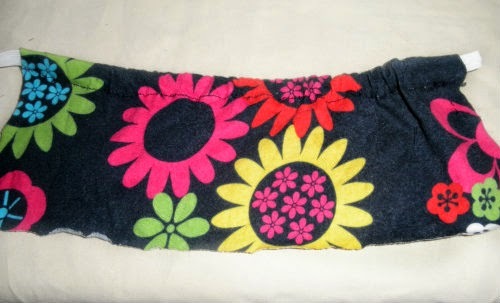 Knit Fabric Scrap: 13 inches wide by 5 inches for a mini skirt. 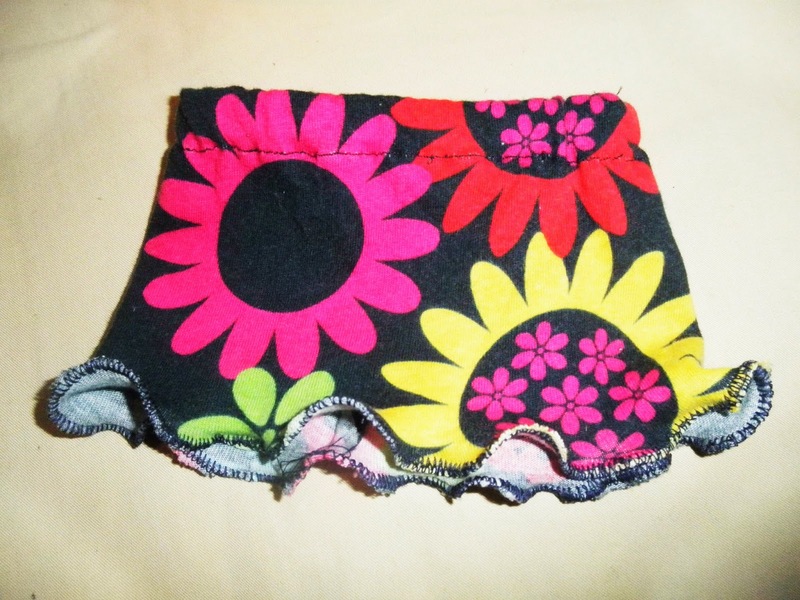 Add one inch for knee length or 2 inches for below the knee. Any standard sewing machine with an adjustable zigzag stitch. Step One: Turn 3/4 of an inch of fabric to the wrong side and stitch in place. This will become your elastic casing. 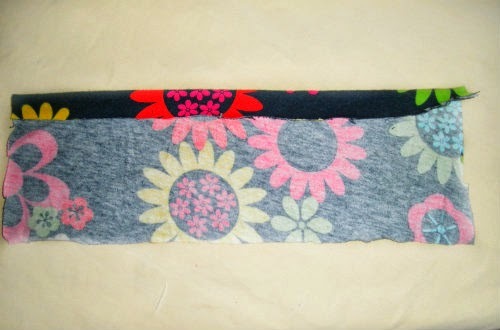 Step 2: Insert elastic into casing and stitch ends in place. Step 3: With right sides together fold skirt in half and stitch closed with a quarter inch seam allowance. This will become the center back seam. Trim ends of elastic. Step 4: Complete the skirt with a lettuce hem. 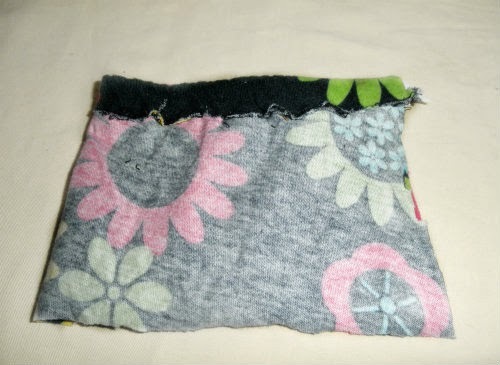 A lettuce edge can be done with a standard sewing machine as long as you can adjust the width of your zigzag stitch. Practice on a piece of scrap if you have never done this before. 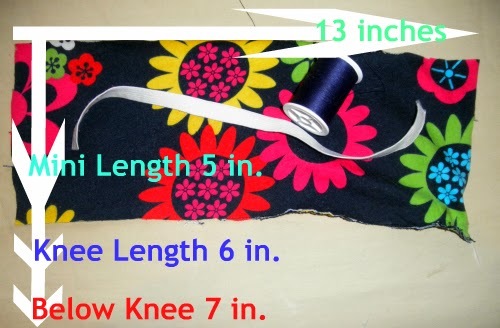 You will see that you can adjust the size of the waves by adjusting the amount that you stretch the fabric as you sew. You will want to clean your machine out as soon as you are done, because this technique always seems to leave a ton of lint behind. When you reach the center back seam where you started you can stop or go over it one more time to fill in any missed areas. Thanks for checking out my tutorial. Doll clothes are my favorite thing to sew and I planning to add more tutorials for both doll clothes and matching girl and doll outfits in the future. Check out my archives in the meantime. If you would like to see more subscribe to my blog via your favorite method. Feel free to post a link in the comments section if you want to share a picture or blog post of what you made using this tutorial.